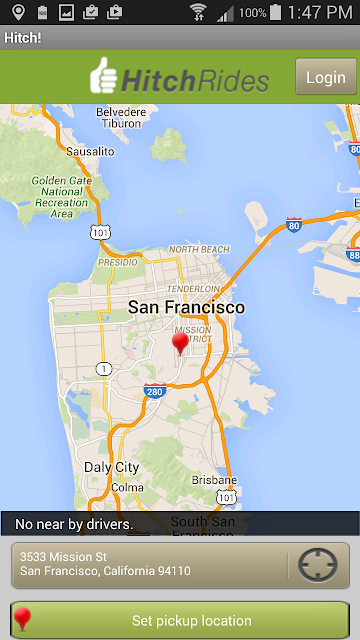 During Friday morning rush hour, only one Sidecar is available in all of San Francisco. 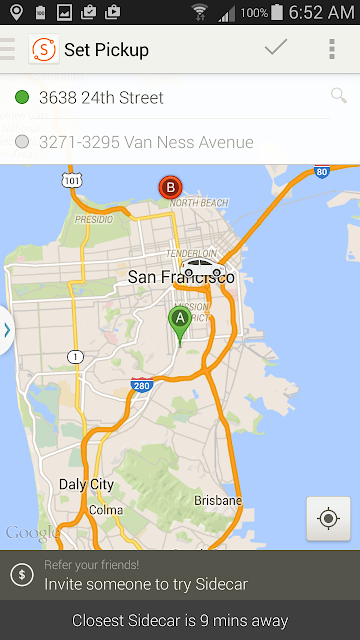 Sidecar, which once had the largest network of “ridesharing” vehicles in San Francisco, is now barely on the map. When I was conducting interviews in 2012 and 2013 with drivers for the brand-new app-based ridesharing services Sidecar, Lyft, and Tickengo, Sidecar was the largest and busiest of the three. Back then, all three companies (along with Uber, which at that time dispatched only licensed limousines and taxicabs), were under a cease-and-desist order from the state Public Utilities Commission. Lyft, in those early days, kept a lid on the number of drivers and passengers (and even shut down its app at night); Tickengo offered only prearranged, as opposed to on-demand, rides. 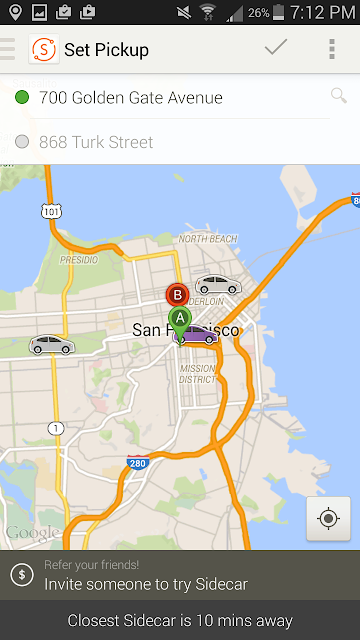 That left Sidecar as the first “ridesharing” app with a network of drivers large enough to compete effectively with the city's licensed cab fleets. What a difference a few years make. Uber, after initially accusing Sidecar and the rest of “regulatory arbitrage,” changed its mind and rebranded its mid-range UberX service into what would become the largest and most well-known “ridesharing” service. Lyft expanded, ditching its controversial mustaches along the way. 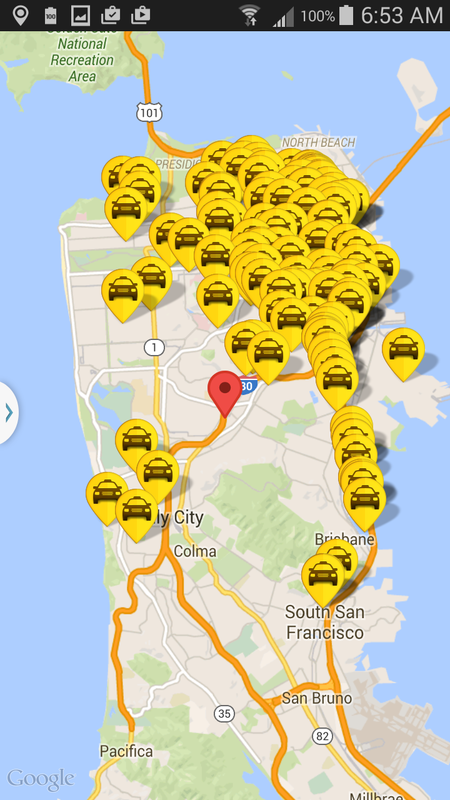 Other startups joined the mix, and at one point there were at least six companies offering “ridesharing” service in San Francisco: Hitch, Lyft, Sidecar, Summon/InstantCab, UberX, and Wingz/Tickengo. But today, after “pivoting” out of the crowded ridesharing space into the at-least-as-crowded courier/delivery space, Sidecar’s passenger app invites the sort of “abandoned amusement park” metaphor once reserved for MySpace. Over three days, 9 was the largest number of Sidecars I could find onscreen at one time. Most of the time, Sidecar showed between one and three cars available throughout the city. Like MySpace, Sidecar is still around. They still describe "ridesharing" as their business model; there just aren't very many Sidecars available for giving rides. And of course, the app screen only reveals so much. 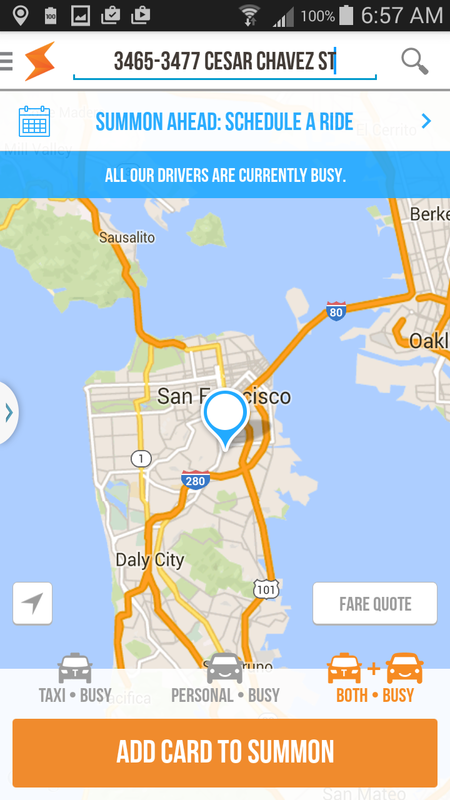 How many drivers are off the screen, giving deliveries or rides? How many of the drivers that we do see are Uber and Lyft drivers who, already running both of those apps at once, are still occasionally turning on Sidecar as a third option? And are they finding any business when they do? 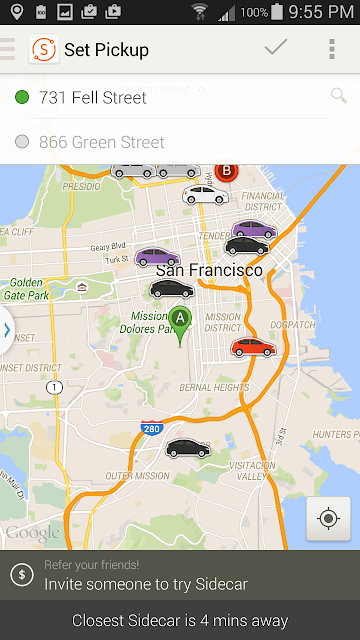 Sidecar was not the first of San Francisco’s ridesharing services to bow out of the market. Tickengo changed its name to Wingz, and has scaled down to prearranged airport rides. The Hitch app has been defunct since the company's acquisition by Lyft. Summon's app hasn't shown any available cars for months. The app for Summon (originally InstantCab), which dispatched both licensed cabs and “community drivers,” consistently shows no available drivers. It is interesting that, despite predictions about the collapse of the licensed cab industry, it is the field of "ridesharing" services which has, so far, been dramatically shrinking. Flywheel is the dominant taxi-hailing app in San Francisco.